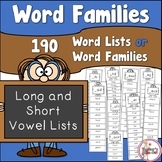 Word Family Lists for short vowel sounds. Please follow me and rate my work! Students will list ar r controlled vowel words into the correct columns for -ar, -arm, and -art. There are also lines provided at the bottom of the page for students to write sentences. 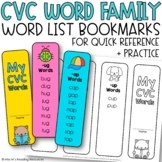 This is a FREEBIE for all of you out there looking for a list of words that fit for each CVC (short vowel) word family. Enjoy and let me know by rating and commenting. Thanks! 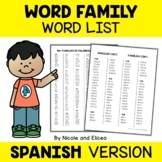 Word Study Lists! 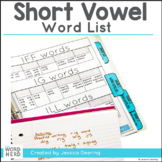 is a comprehensive list of word families for short vowels, long vowels, diphthongs, and r-controlled vowels.